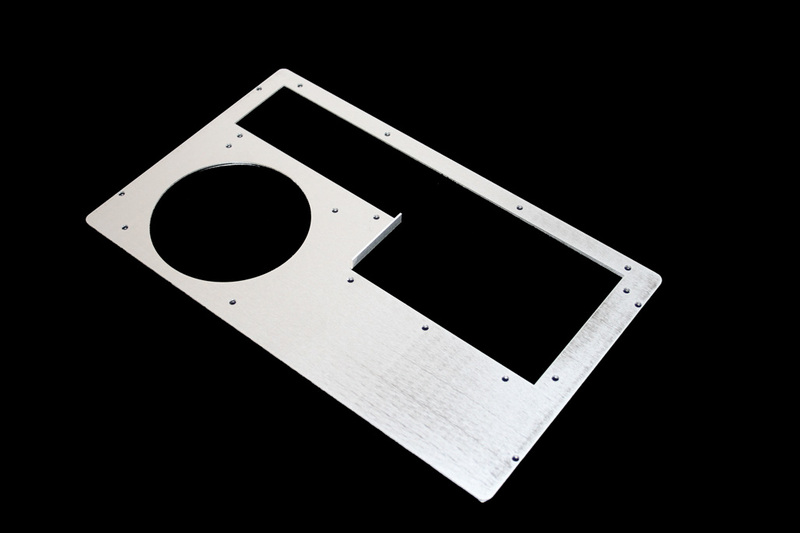 Mountain Mods Modular 120mm Motherboard back panel is compatible with Mountain Mods Modular I/O panels and Mountain Mods Modular Motherboard trays (ATX & EATX). This panel is NOT meant for use with 10 PCI (XL-ATX) parts. This panel is used on most Mountain Mods cases with the exception of the following - Mountain Mods Twice7 and Mountain Mods U2-UFO/Ascension Duality back panel cases. Possible uses: replacement of existing part, used in conjunction with Mountain Mods I/O panel in a DIY case, or if you are swapping out your existing 80mm Motherboard Back Panel to go into a 120mm port. Panel dimensions: 13.75 x 8.38inches. choose from your standard finishes.